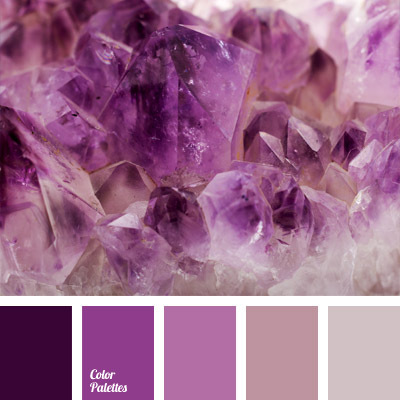 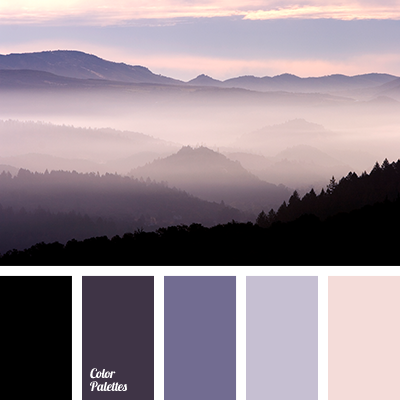 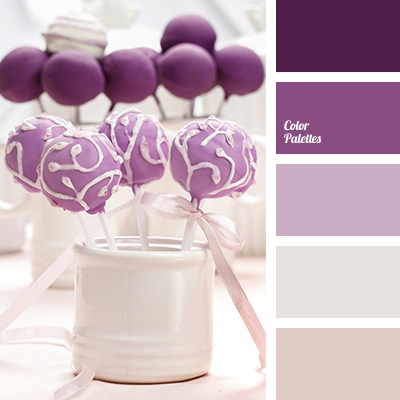 Black in this palette shades lilac and pale blue – the colors of the sunset at the Cote d’Azur. 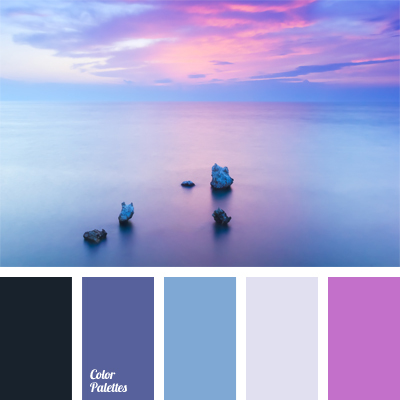 Pale light blue dilutes the combination of rather bright hues, making up a delicate palette. 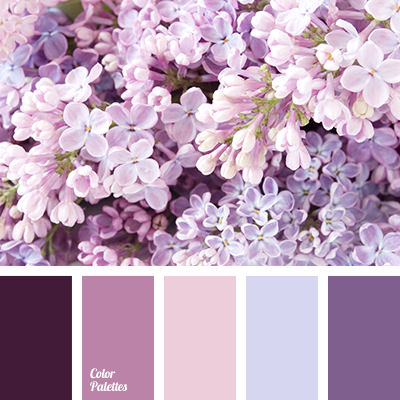 Ideal for a room of a young romantic lady or her boudoir.